When it comes to organic farming, many in the agricultural industry are on board in theory, if not in practice. And that’s largely because of low crop yields. 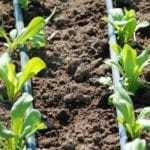 For many years, the prevailing perception has been that organic farming — which avoids synthetic pesticides or fertilizers, antibiotics and GMOs, and aims to preserve natural resources and biodiversity — cannot produce the sort of yields needed to provide food for the world’s population. While a new report from researchers at the Friends of the Earth admits that crop yields are, on average, currently smaller with organic farming than industrial farming, that doesn’t have to be the case. The report, released Tuesday by the D.C.-based environmental advocacy group, goes on to argue that crop yields shouldn’t be the only metric by which we should evaluate any given crop’s success. 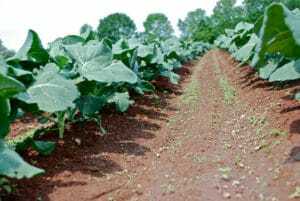 n a conference call Tuesday, John Reganold, a professor of soil science and agroecology at Washington State University, said a crop’s yield is just one of four metrics by which it should be considered sustainably productive. Equally important, he argued, is whether a crop is environmentally safe, economically viable to the farmer and socially responsible — by paying its workers well, for example. “Increasing the proportion of agriculture that uses sustainable, organic methods of farming is not a choice, it’s a necessity,” Claire Kremen, a conservation biology professor at University of California at Berkeley, writes in the report. The report addresses another belief the organization characterizes as a myth — that increased food production is needed to feed the growing world. Research published in the Journal of Sustainable Agriculture in 2012 found that the world’s farmers already produce enough food to feed 10 billion people. The Economist reported similar findings in a 2011 report. Despite that tremendous productivity, an estimated 795 million people on earth — about one in nine people — do not have enough food to lead healthy, active lives, according to the U.N.’s World Food Programme. The reason for that gap, according to World Hunger: 10 Myths author and Small Planet Institute director Frances Moore Lappe, is that hunger has less to do with supply and more to do with poverty and a lack of equal access to land, water and other necessary resources. Thus, any solution to the problem would also need to address these issues — but Moore Lappe argued conventional agriculture only exacerbates them. As an example of this, the report cited the poverty wages to immigrant farm workers, an estimated 67 percent of whom rely on some form of government assistance. “The real root of hunger is a scarcity of democracy,” Moore Lappe said Tuesday. So what’s the fix? Even though sales of organic foods are on the climb, organic farming still only represents about 0.7 percent of U.S. farms — so there’s a long way to go toward these practices becoming more mainstream. In order to get there, the report suggested U.S. policymakers increase their spending on research, education and technical assistance for organic farmers. While the USDA did increase its spending in this area in 2014, researchers argue it is not enough to keep pace with consumer demand as organic farms look to expand their operations and impact.